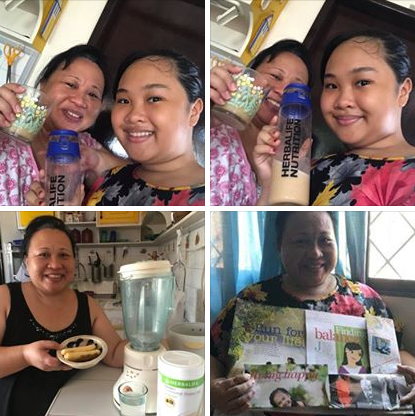 Last April 23, 2018, I joined in as one of the 12 participants who signed-up for the first-ever 21-Day Herbalife Nutrition Media Fitness Challenge to make healthier versions of themselves. Mr. Rosalio Valenzuela, the General Manager of Herbalife Nutrition PH gave an inspiring messages to all the Media Fitness Challengers, "We all came here for a reason. You came here to be fit and fab... Join us to make this world healthier and happier." Fitness Coach Dwan Abantao, of Herbalife Nutrition PH said the we need not stay long hours in the gym to workout. She taught us simple body weight exercises and initiated a heart-pumping High Intensity Interval Training during the first meet up. The workout lasted 15 minutes, covering almost every part of the body from legs and shoulders to chest and abs. Coach Dwan taught everyone how to get the target one's heart rate to optimize results during our workout. We had Herbalife F1 Nutritional Shake as post-workout refreshment to replenish the body nutrients we used up. Next, we were divided into 3 groups and assigned coaches. The coach per group then facilitated weigh-in and assessment part. 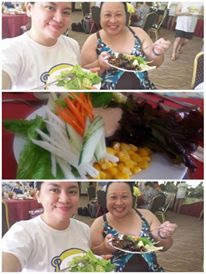 We were each given a specific meal plan to follow based on amount of visceral fats, metabolic age versus biological age. The meal plan included snacks in between breakfast, lunch and dinner. We relied on Calorie Counting in choosing healthier food options. We were advised to go low on sugar and carbohydrates. We were instructed to drink water to curd hungers pangs in between snacks and meals. Staying committed to your fitness goals for 21 days, proved to be challenging. We need to modify our lifestyle and choose healthy eating habits. I usually skip breakfast and focus on having a heavy lunch meal come midday. The first week for me was hard. Back then, it seems easier to give up than to push ahead and keep going. They gave us Fun fitness challenges in five categories with minimum 2 halcards per category per week required. Encouragement is a great motivator, but what gave me a reason to keep trying is the competition. Competition with my blogger friends had helped me shake up my fitness routine, boost my activity and improve my lifestyle towards a healthier one. The healthy dose of competition boost us to new levels! This fitness challenge provided a fun, motivating atmosphere as almost everyone wanted to win and take home the trophy. 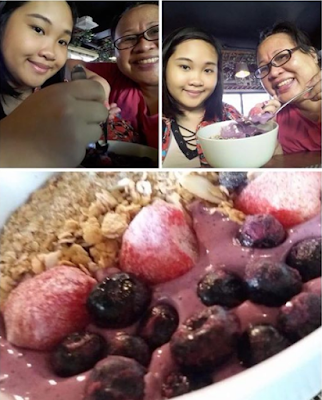 I was glad that I had my daughter to support me in this fitness journey. We got active together and spent more time on exercising and burning calories throughout the duration of the challenge. Weight loss challenge spanned three weeks and included 3 regular weigh-ins as well as support throughout. I lost 5 pounds in 3 weeks! Through-out 21 days, only a few were able to totally commit to the fitness program. 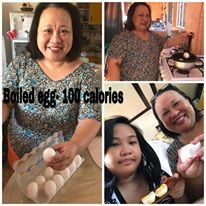 Ms. Barbs Soliven said that being fit is not a walk in the park. Being fit requires your devotion and commitment. Health is wealth and it really comes with a price tag. Earning points, winning prizes, and pitting myself against everyone else gave me plenty of reasons to keep exercising and working to get in shape despite the odds. Building a culture of wellness really takes time, but fun challenges like this bring competitors together toward the common goals of increased physical activity and overall better health. Adae, Leilani and Jaimie were declared the Top 3 Winners of the 1st Herbalife Nutrition Media Fitness Challenge on May 17, 2018. They received amazing prizes to help them to continue on their healthy fitness journey with Herbalife. All participants also received consolation prizes. Each of us is definitely a winner. I learned new ways to push myself and get in better shape. Everyone dig in and did their best doing whatever the challenge required. We aimed at burning the most calories, taking the most steps, and spending the most time exercising! Herbalife is indeed making the world healthier and happier with this life-changing experience!